Thomas A. Yorke Enterprises... The Below Pictured 1950s Transition Era Enginehouse Kit Instructions (#HO-128) includes a Drawing for an "Optional" Base and Inspection Pit (material NOT included). Now available is this Base, Cast Labstone Inspection Pit (with Handrail), Crossover Deck Plate and Instructions to build, assemble and finish this Accessory to the HO-128 Yorke Kit. 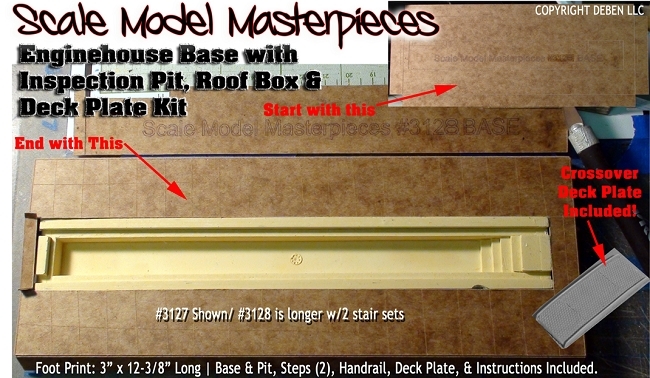 This material for this 3" x 12-3/8" x 1/2" kit is Precision Cut matt board which is the same material we use for roofing and accessories for our other Scale Model Masterpieces/Thomas A Yorke Ent. kits. Most of the work is done for you leaving you to cut and trim a few areas leaving you to choose whether to make this base single ended or drive through. A sharp X-Acto knife blade, a little Doctor Ben's Hypo Cement and some Doctor Ben's Worn Concrete Weathering Stain (#1095) and that's it! Got Questions? Just Ask! 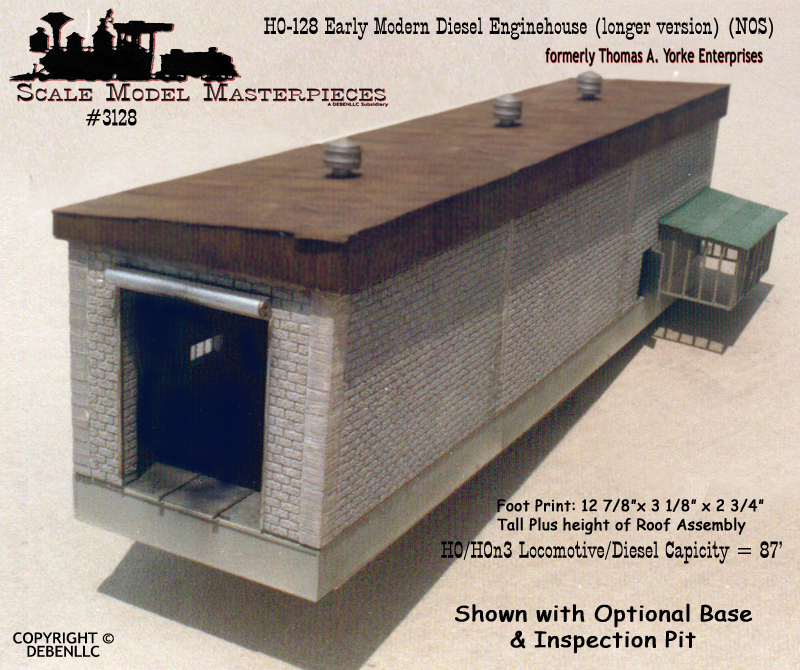 Backwoods Ramshackle Engine Shed Kit-Scale Model Masterpieces HO/HOn30/HOn3 NEW! And Lots of Options to Choose!